Minutes from San Francisco but surrounded by rolling hills and ocean vistas, Lighthouse Hotel provides access to California's natural scenery and its most engaging city. 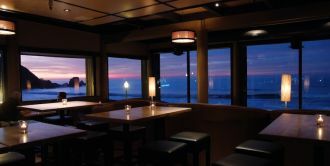 With some of the most spacious accommodations among hotels in Pacifica, our property showcases stunning ocean views and excellent amenities, like complimentary Wi-Fi, extensive event space, free parking and more. Lighthouse Hotel has a scenic atmosphere for groups. The California coast is an ideal setting for your wedding, as well as corporate retreats and family reunions. Our event space has more than 4,500 square feet of space, giving you space for any size event. Just minutes from SFO and BART, travel to our hotel is convenient and quick. With delicious dining options nearby, including our onsite restaurant, Moonraker, you and your guests are spoiled with options. 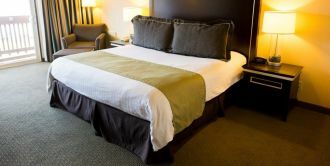 A convenient choice in San Francisco Bay Area hotels, we are just minutes away from outstanding attractions, including national parks and wildlife refuges. You're also just a short drive from San Francisco, The Golden Gate Bridge, and more quintessential Bay Area attractions. Our beachfront hotel puts the Pacific Ocean right on your doorstep. View our gallery to see for yourself. Call today to make reservations at our Bay Area hotel near San Francisco or inquire about group travel and plan your California vacation today.